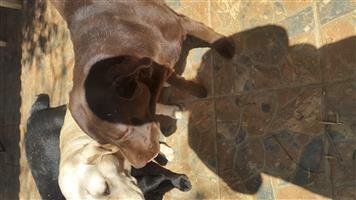 I have 5 Puppies for sale. 3 Females and 2 Males . R500 each. 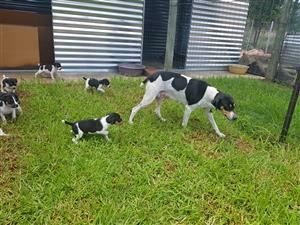 They are Vaccinated, Vet Checked and dewormed they were born on 20/11/2018. They are Adorable! Contact me if intrested. Baie mooi langbeen Foksterrier hondjies te koop. 7 weke oud. 4Tefies 2 Reuntjies. Beskikbaar op 8 weke. 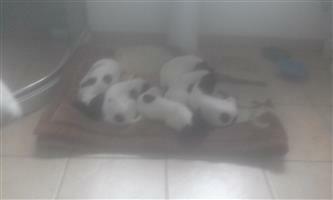 I have 6 Foxterrier puppies for sale. 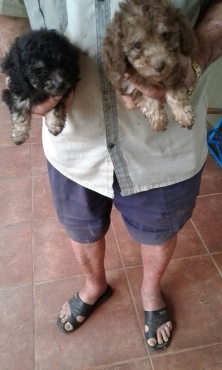 They were born on the 3/11/2018 rady at 8 weeks old. 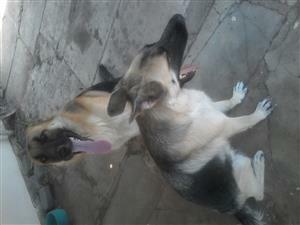 They are Vet checked , Vaccinated and dewormd . Looking for forever homes. Hondeopleiding by u woning, lei honde op vanaf 6 maande tot 5 jaar oud. Lei honde op vir gehoorsaamheid, spoorloop - gewoon of bloedspoor, huisbeveiliging, en perseelbeveiliging. Opleiding duur 5dae. 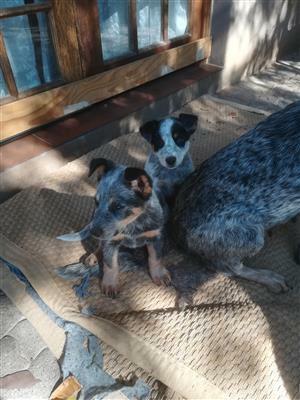 Australian Cattle Dog puppies. Born 8 April 2018. Vaccinated and dewormed. Price R2000.00. Delivery in Pretoria area. Whatsapp 0828817252 Available at 8 weeks. Eight weeks. Vet checked and 6 in one injections given. 3 males 3 females. Purebred doberman puppy for sale, only have one male puppy left. He is 8 weeks old and ready for a new home. Dewormed and inoculated. Get an email notification for any Results in Dogs and Puppies in Bela Bela when they become available.